Boston bar empire builder Jackson Cannon of The Hawthorne, Eastern Standard and Island Creek Oyster Bar spent a week visiting nearly 30 sherry bodegas throughout Jerez, Cadiz and Andalusia. Here, the highlights from his trip. 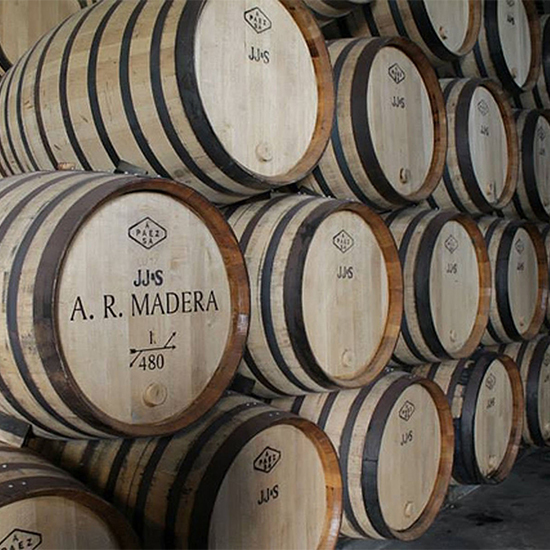 Scotch is sometimes aged in used sherry barrels. 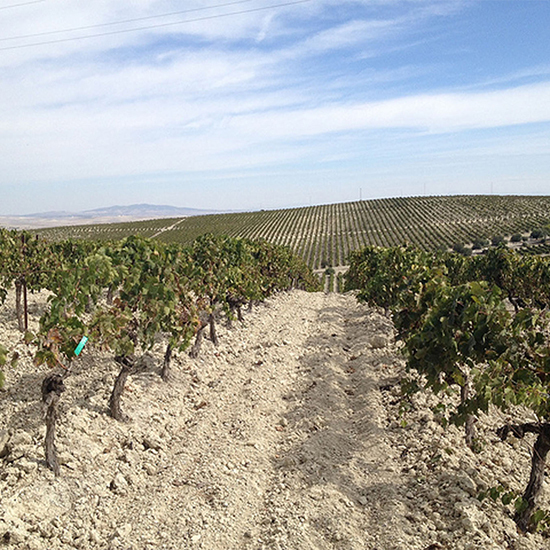 This chalky soil, so similar to that of Champagne and Cognac, gives the Palomino grape its intense mineral flavor and bright acidity. 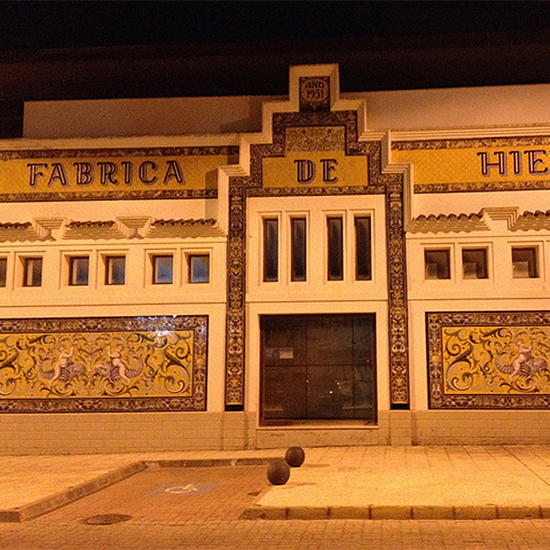 The icehouse where the gorgeous ice is made for the world-famous gin and tonics, which are among Spain’s most beloved cocktails. 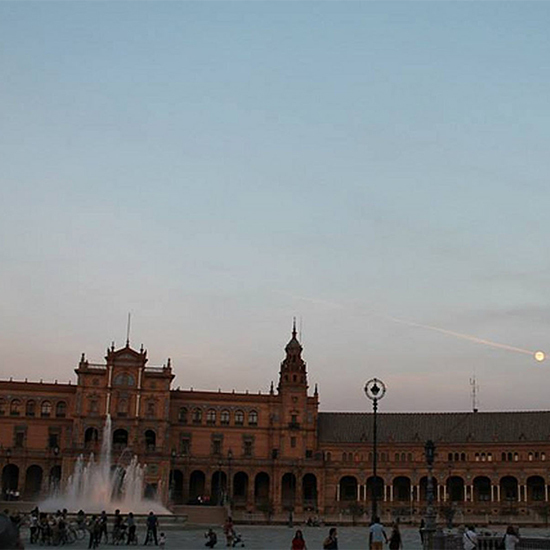 The gin and tonic is a ritual in Spain unlike anywhere else! 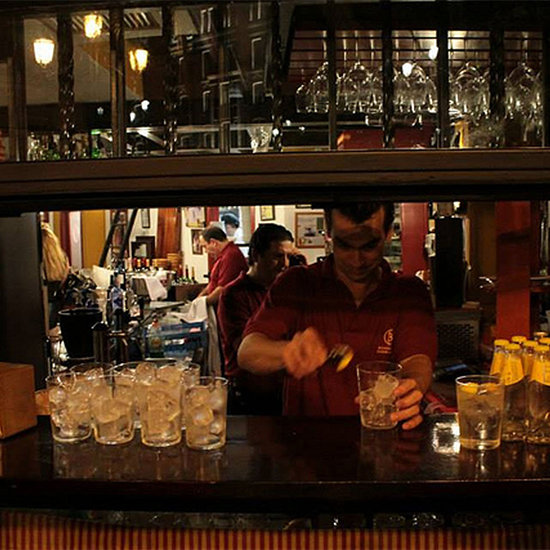 Looking closely you can see the gorgeous ice used in the famous drink. 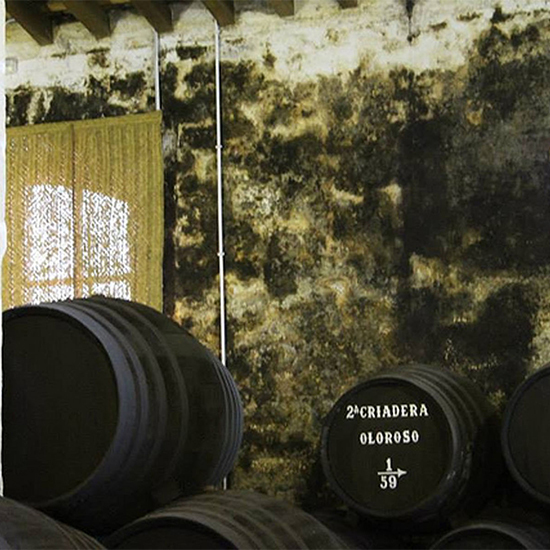 Mold on the walls of the bodega is integral to the growth and health of the flor. 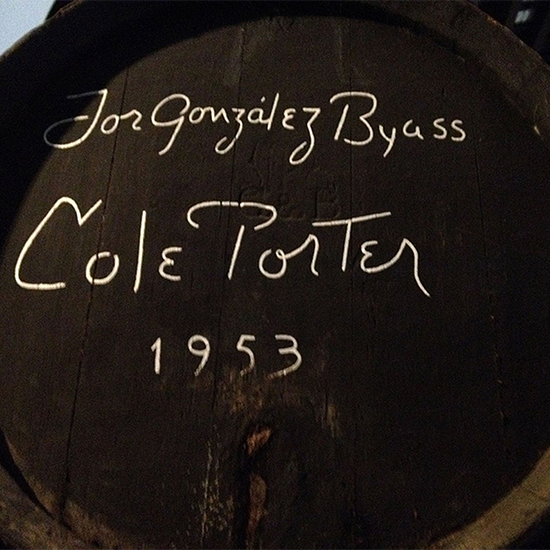 Throughout a bodega you will find barrels signed by celebrities who have toured there. 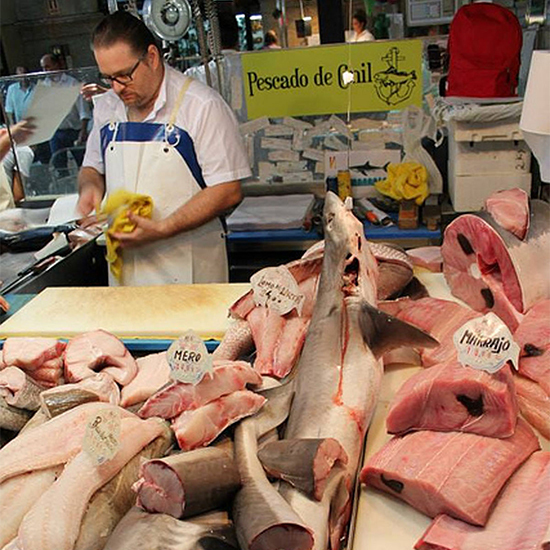 A shark for sale at a marketplace. 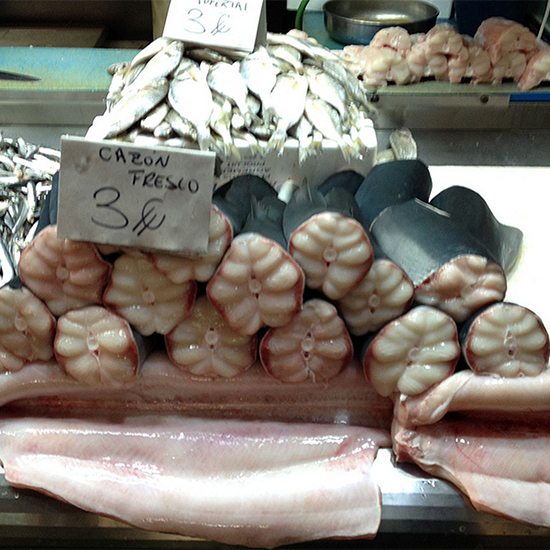 An excellent fishmonger hard at work. 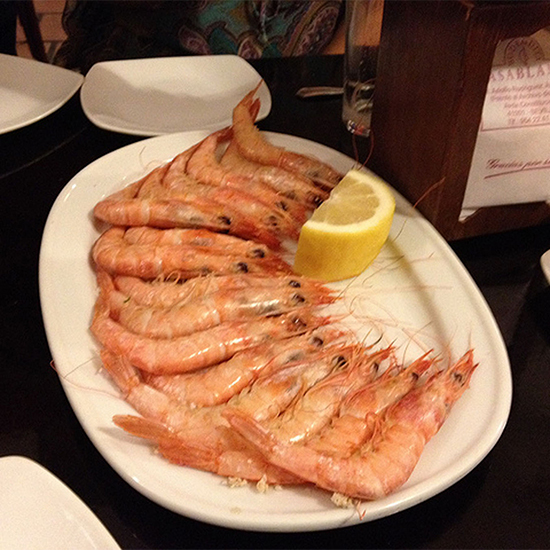 The chalky soil of the region is an ancient seabed created from aeons of shrimp just like these. How perfect then to drink the wine (manzanilla in this case) grown from this soil! 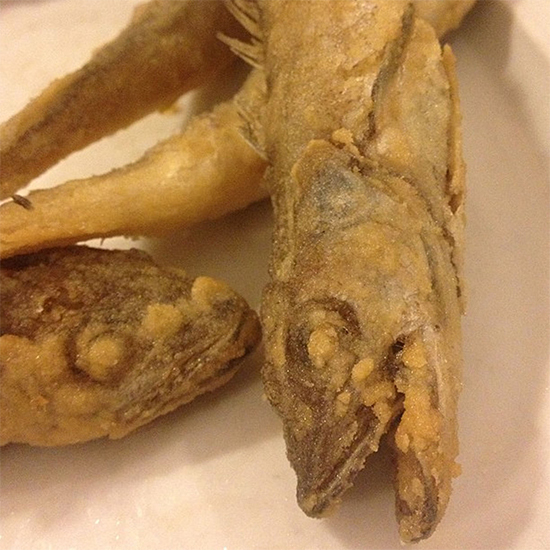 Simple dry sherries are perfect with fried sardines. We drank manzanilla with this dish. 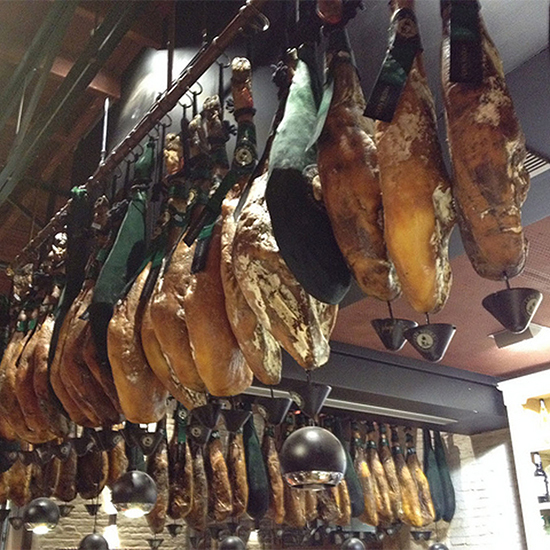 It’s all about the jamón! 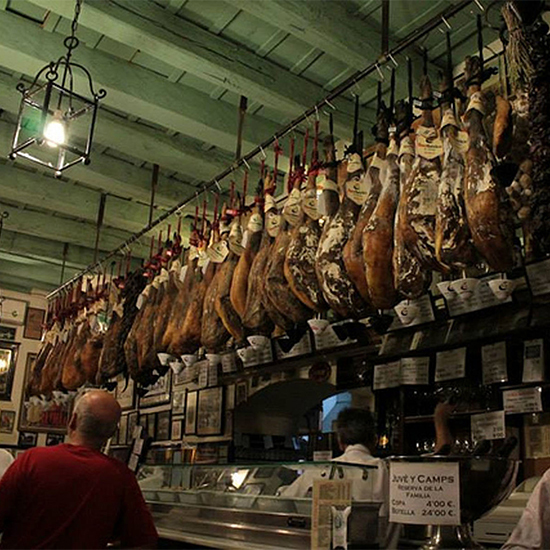 A typical storefront, where eating jamón and having a glass of sherry is as de rigueur as a beer and a burger in America. Raw olives. 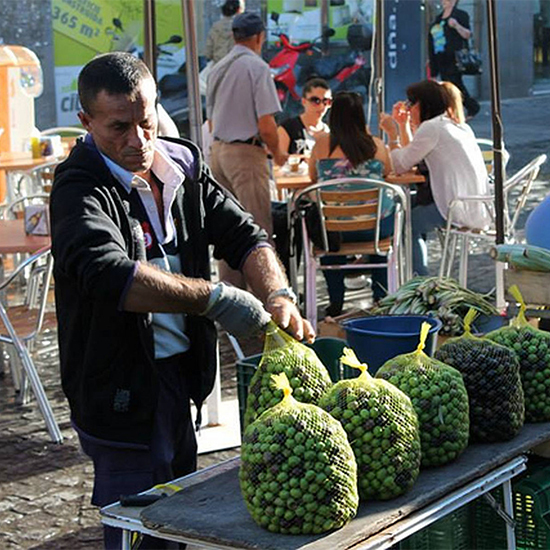 Spain is far and away the largest exporter of olive oil, and the bulk of the olives are grown in Andalucia, also the location of the Sherry Triangle. 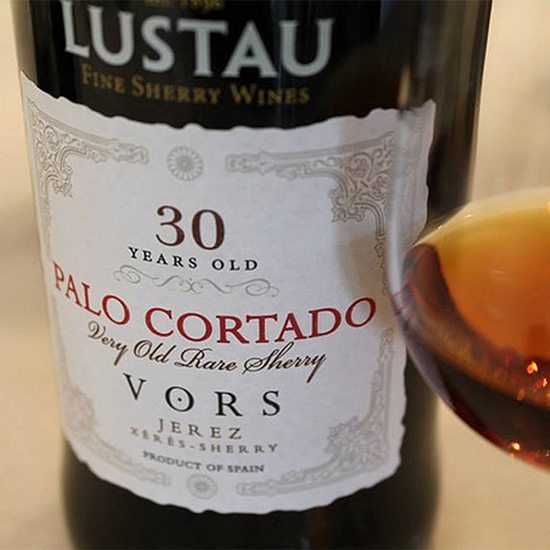 Palo cortado VORS sherry, aged for 30 years. 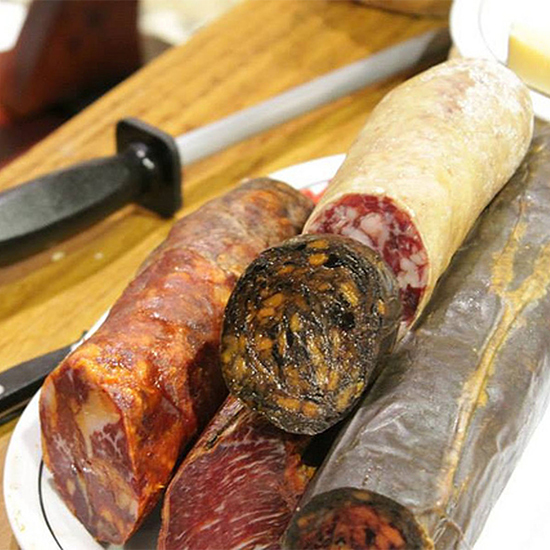 An afternoon meal and tasting with our host, AKA Wine Geek’s Steve Olson. Sausages. 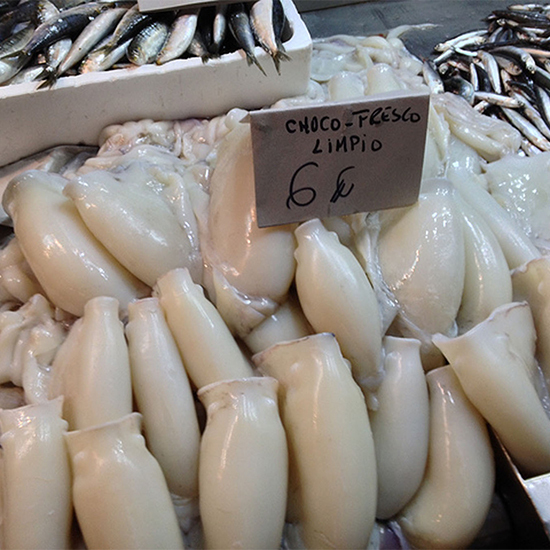 Fatty and salty, they love the briny acidity of dry sherry. 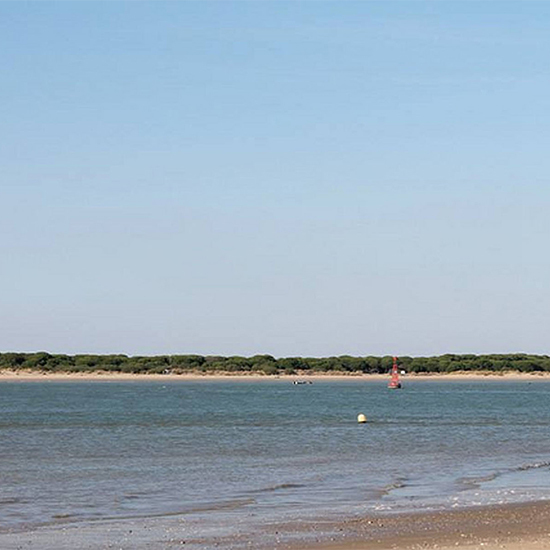 This beach on Sanlúcar de Barrameda is behind one of the bodegas we visited. The humidity and salty air are essential to the aging and flavors developed in this wine. 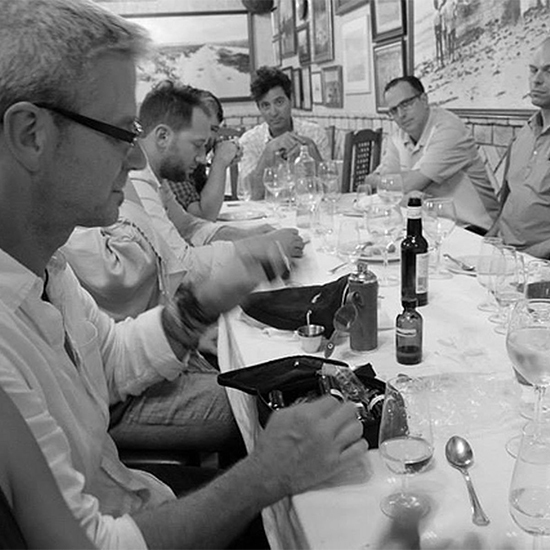 The tasting included everything from ultra-light and dry fino to the deep raisin richness of Pedro Ximénez and so many between. 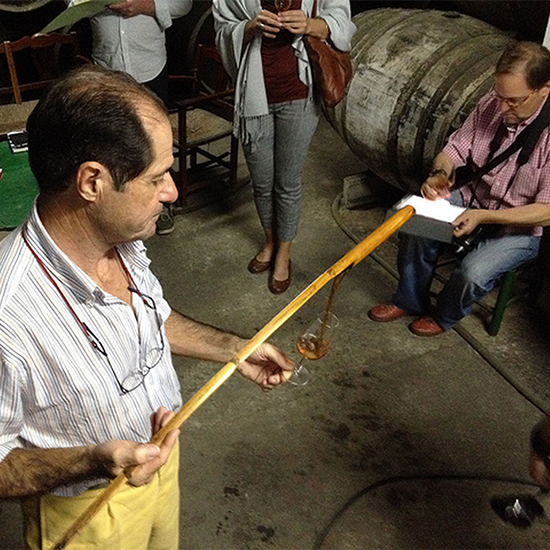 Javier Hidalgo pours a taste of sherry for us. To the left you can see the equipment used to transfer wine from one barrel to another. 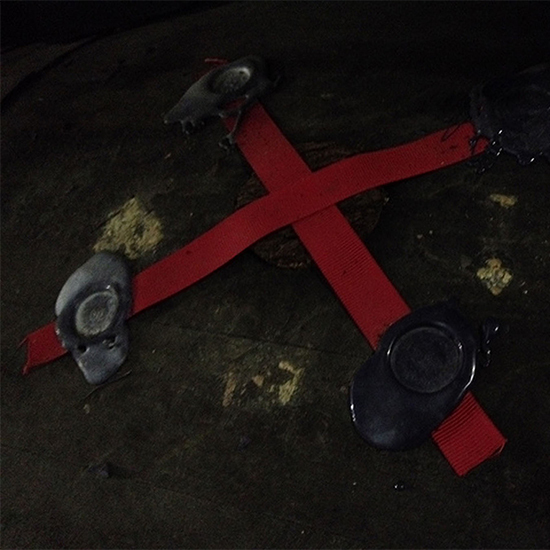 Once a wine has been selected for the very special VORS/VOS designations, the barrel is marked and sealed. At this time, the years aged begin to accrue. 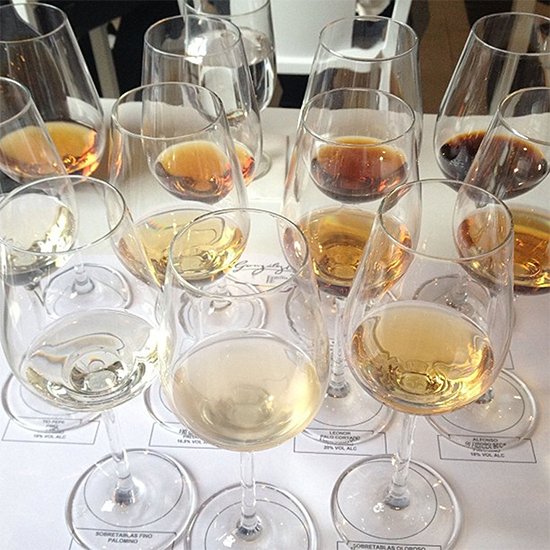 VOS refers to wine aged 20 years and VORS refers to 30-year-old sherry. 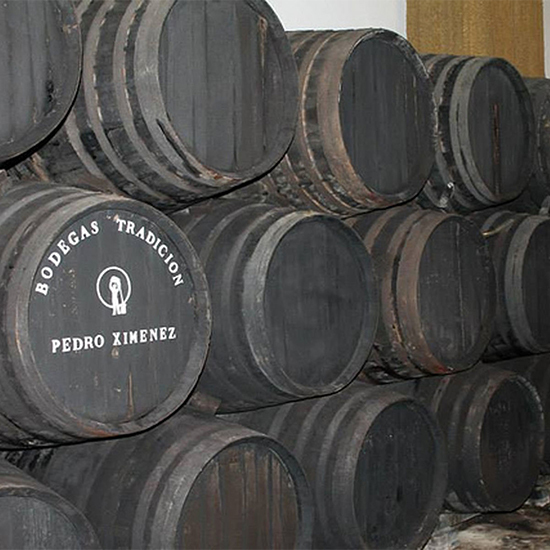 It’s important to note that frequently there is sherry in the barrel aged upwards of 60 years before the seal is applied.